Great health and vitality are essential for “Living the Best Year of Your Life.” What you eat, drink and think determines who you are. It is virtually impossible to achieve success in your love life, career or happiness if you disregard your health. In this installment of THE ANSWER To Absolutely Everything, our team of coaches present the fundamental principles and practices that create well being. 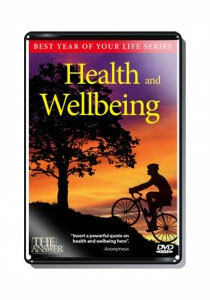 Create health and vitality in every area of your life. Overcome the unconscious patterns that block you from achieving your ideal weight. Motivate yourself to exercise and enjoy it. Break through your comfort zone and achieve your goals.